Robert Presley Detention Center | Arrest, Jail and Bail Bond Info. Robert Presley Detention Center | Arrest, Jail and Bail Bond Info. 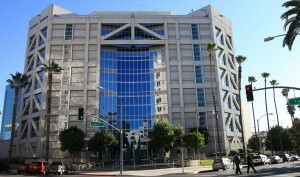 The Robert Presley Detention Center is located in downtown Riverside. It is administrated by the Riverside County Sheriff Department and was opened in 1989 to replace the old Riverside County Jail. Inmates are held at the Robert Presley Detention Center until they are able to post bail or are given a sentence of incarceration. Should the latter occur, they will be transferred to one of the other jail facilities in Riverside County or to California State Prison. Robert Presley Detention Center Inmate Search. At the Robert Presley Detention Center, inmates are allowed two, 45-minute visits in a seven day period, which begins on the day of the first 45-minute visit. All visits must be scheduled with the jail ahead of time and, should you wish to visit someone at the RPDC, you must call at least 24 hours in advance to schedule. Visiting hours are typically 7 days a week from 9:00 am to 7:00 pm, however, each individual housing area of the jail has its own visiting hours. It is best to call the jail at 951-341-8888 to schedule your visit and ensure you select the right time. All visitations are limited to a maximum of 2 adults and 2 children. All children must be accompanied by an adult. Once someone has been arrested, they are taken to the nearest police station or jail to undergo the procedure known as booking and processing. This is where fingerprints and mug shots are taken, and a background check is conducted. The entire process can take anywhere from 45 minutes to 4 hours or longer, depending on how busy the jail is and the defendant’s individual circumstances. Once booking is complete, bail will be set for the arrestee, provided they are eligible. Bail is set pursuant to the County Bail Schedule and will depend on the number and severity of the crimes an individual is charged with. We accept major credit/debit cards including: Visa, Master Card, American Express and Discover, as well as cash, business or personal check, money order, bank account transfer and money wire. If you would like more information on Robert Presley Detention Center, or if you have questions on the bail bond application process, please feel free to call us any time. A friendly, licensed bail bondsman is able to take your call 24 hours a day, 7 days a week and our consultations are always free. We can be reached at 855-414-BAIL (2245). We know this can be a stressful time, and we’re here to help you through it.